We are Spring’s best choice for both residential and commercial roofing. 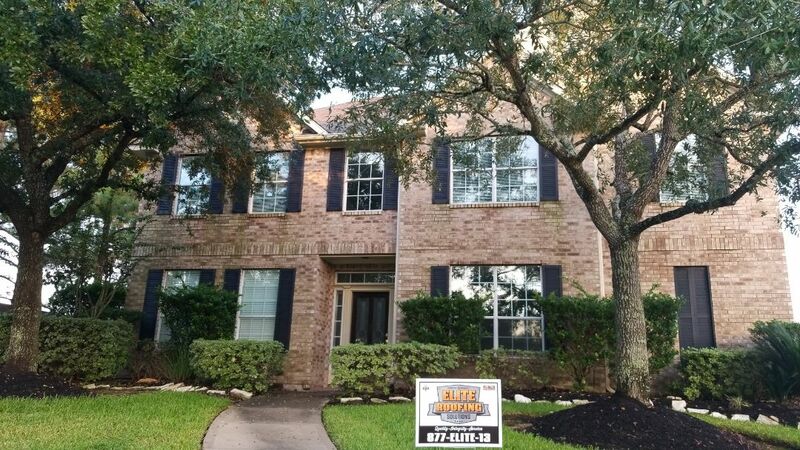 Did you know that our team here at Elite Roofing Solutions is made up of Certified GAF Master Elite contractors? Backed by the industry-leading Golden Pledge warranty, we only install the highest quality materials protected by some of the best warranties in the business. 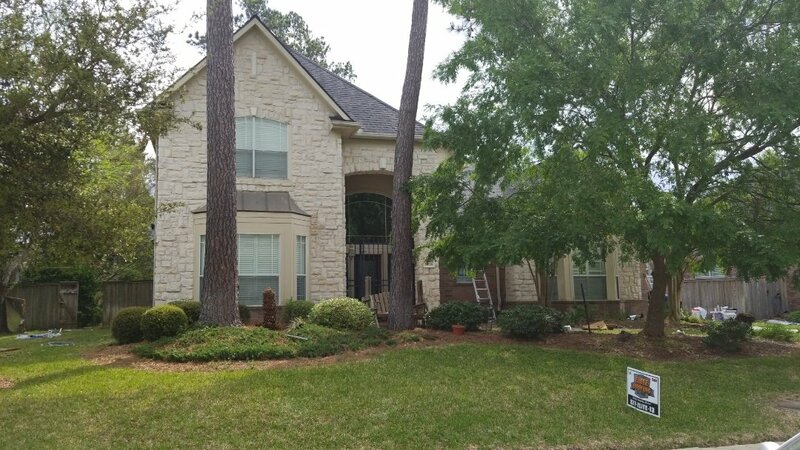 We enjoy working in Spring TX, a community located in Harris County — part of the Houston/The Woodlands/Sugar Land metro area. 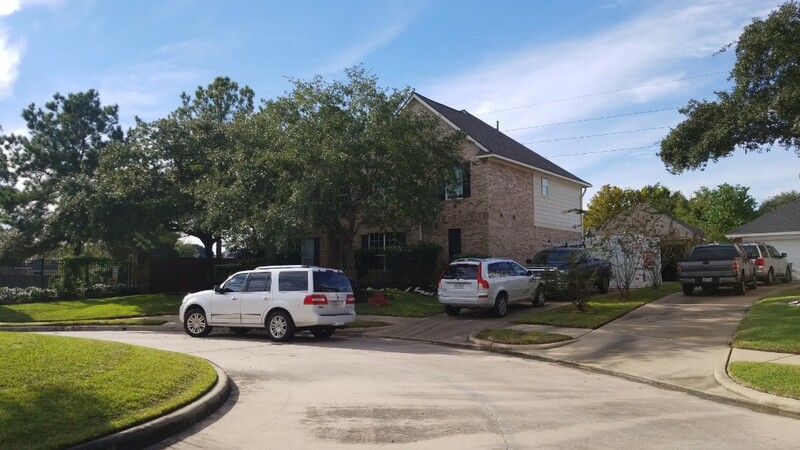 With a population of 54,000 at last count, Spring is a sleep suburb of Houston featuring diverse neighborhoods. 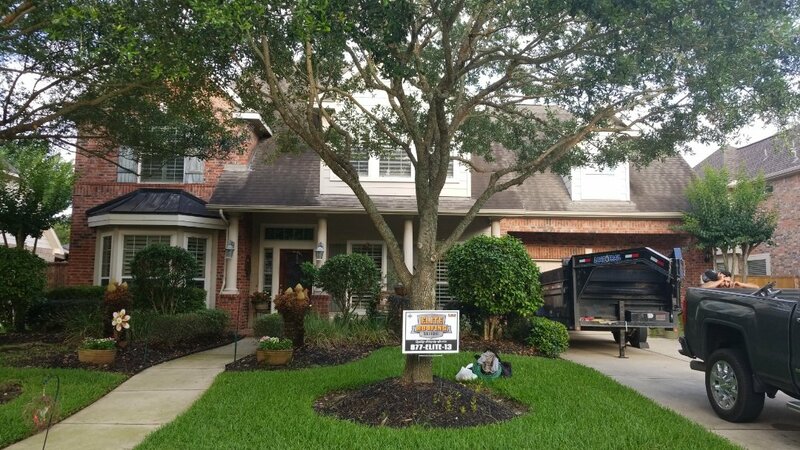 If you have been on the hunt for roofers in Spring TX you can rely on to show up on time, show you and your property some respect, and get the job done efficiently, we are your company. 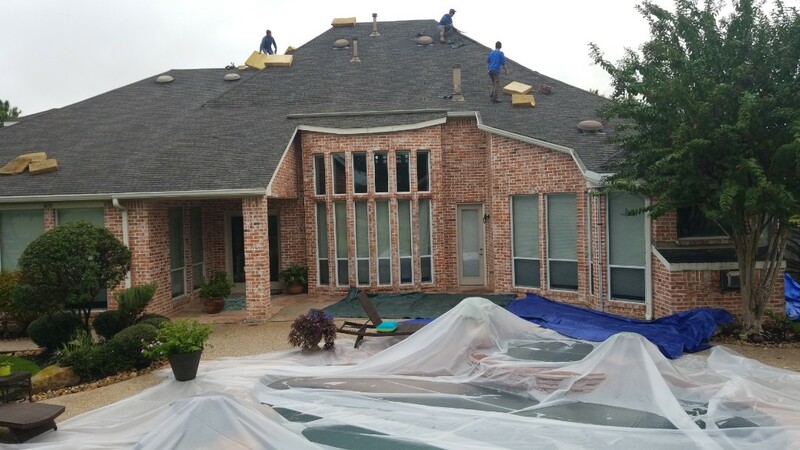 Built on a tradition of excellence more than two decades ago, we bring a high level of expertise to every job because we know how the Texas weather affects all types of roofing. Plus, we have a certified insurance adjuster on staff at all times. Don’t you want this experience and knowledge applied to YOUR roofing job? 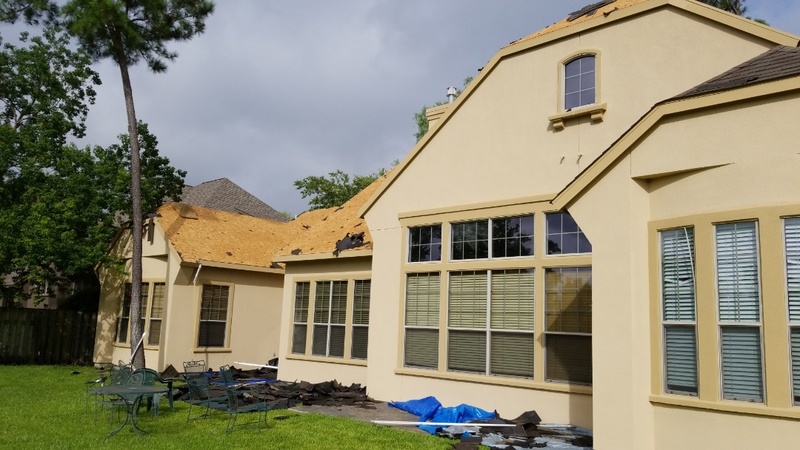 We are specialists in roof repair in Spring TX, so don’t hesitate to call us. Want a Free Inspection Today? 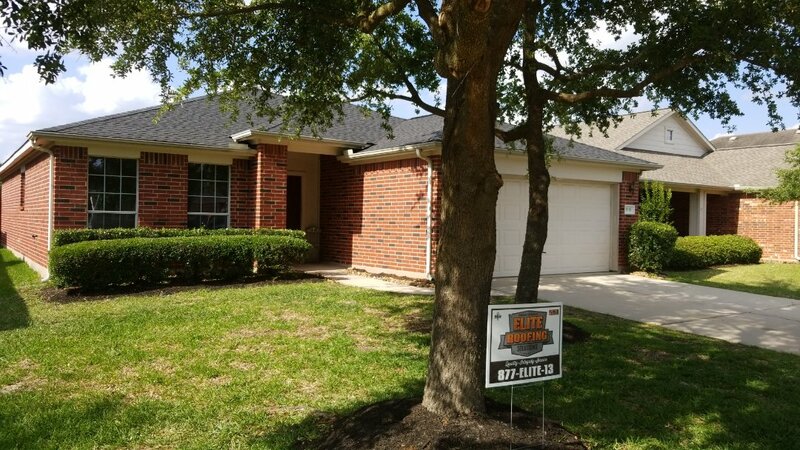 It’s easy: just call 877-ELITE-13 for your free, no-obligation inspection on roof repair in Spring TX. Our doors are open M-F 9-6, with several office locations to choose from for your convenience. 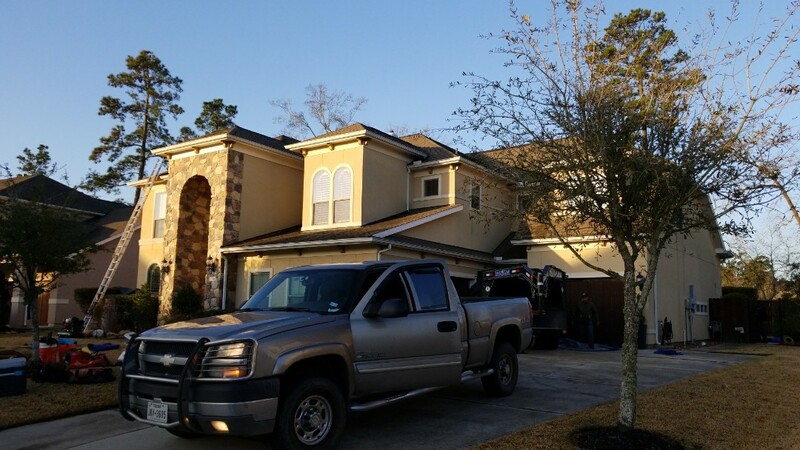 Gutters going on to complete this GAF Camelot 2 roof project. Beautiful golf course home. Tore off the storm damaged roof. Upgraded to Cobra 3 ridge vent system, synthetic underlayment all new flashings, storm guard in the valleys and around penetrations. Great project! 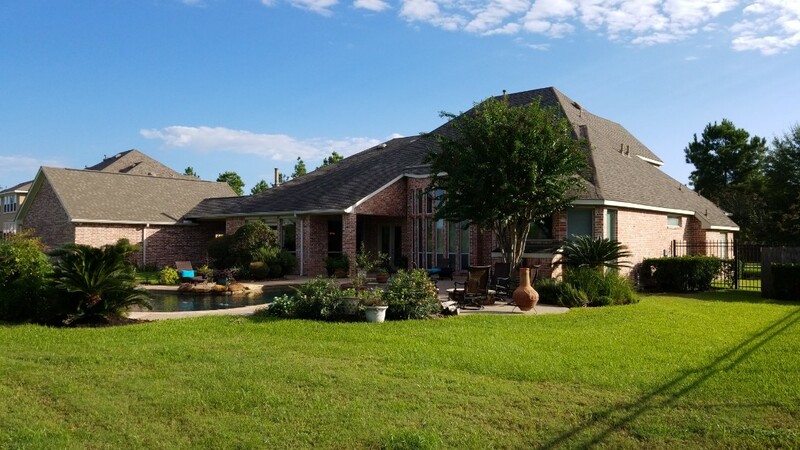 Camelot 2, synthetic underlayment, storm guard, timber tex ridge cap, cobra 3 ridge vent, all new flashing and all new seamless oversized gutters. Job in progress. 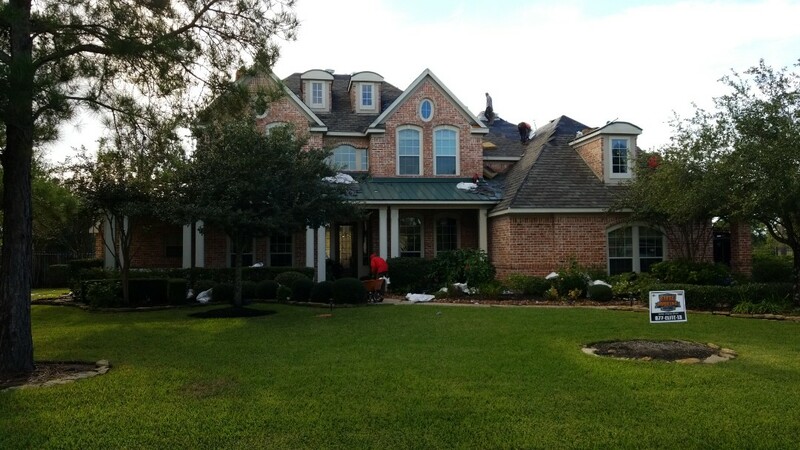 Changing out discontinued storm damaged GAF shingle for GAF Camelot 3. Great golf course home. Getting it done before closing. Weather has been a fight, but we are getting it done. Beautiful golf course home. Insurance covering complete replacement! 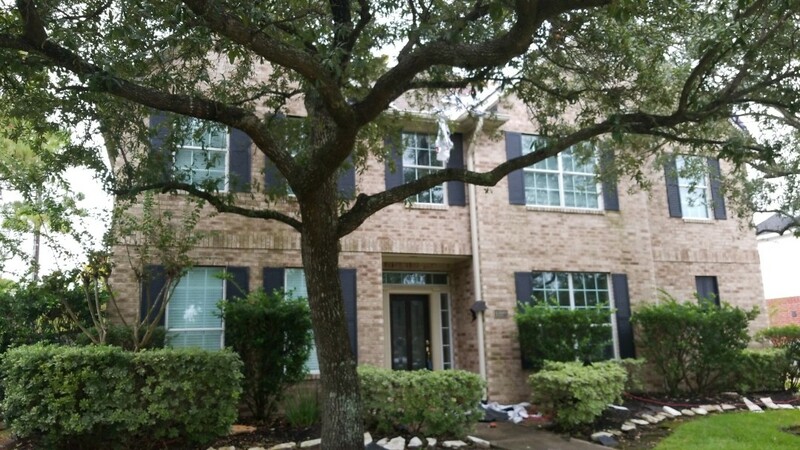 Just signed another contract for a storm damaged roof. 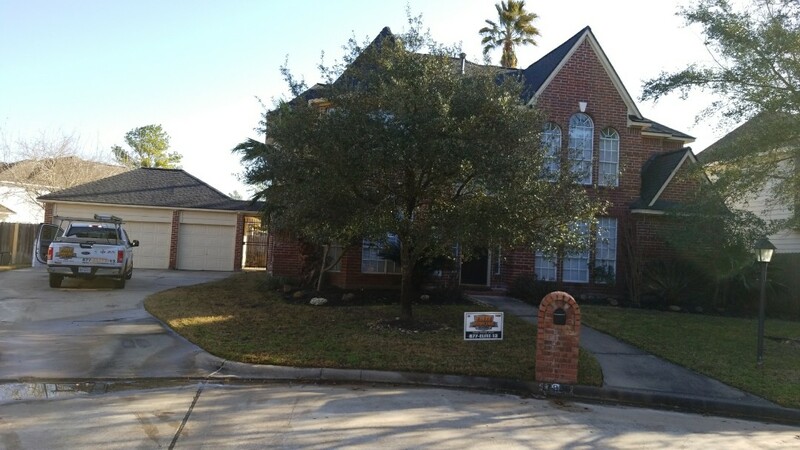 Replaced beat up storm damaged roof with GAF HD Weathered wood. Converted to GAF Cobra 3 ridgevent eliminating quite a few penetrations. 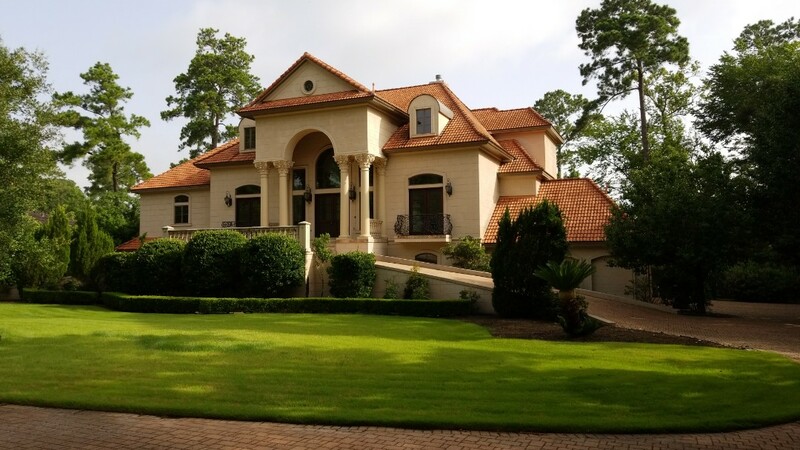 Beautiful little castle in the Woodlands. 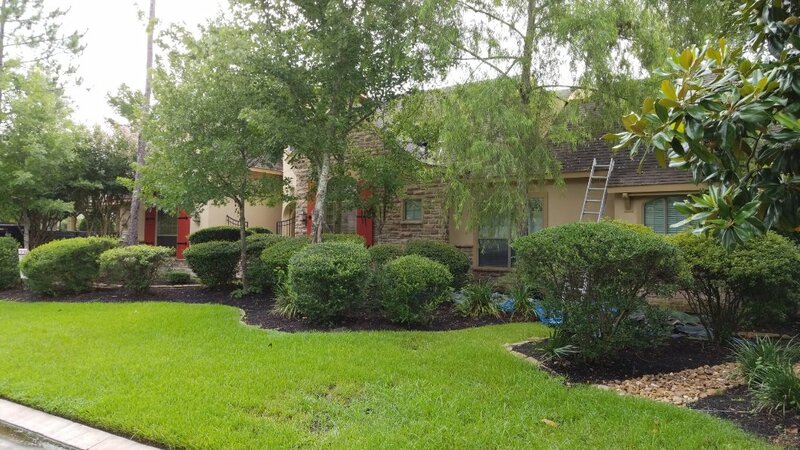 1 of two job starts in the Houston area. 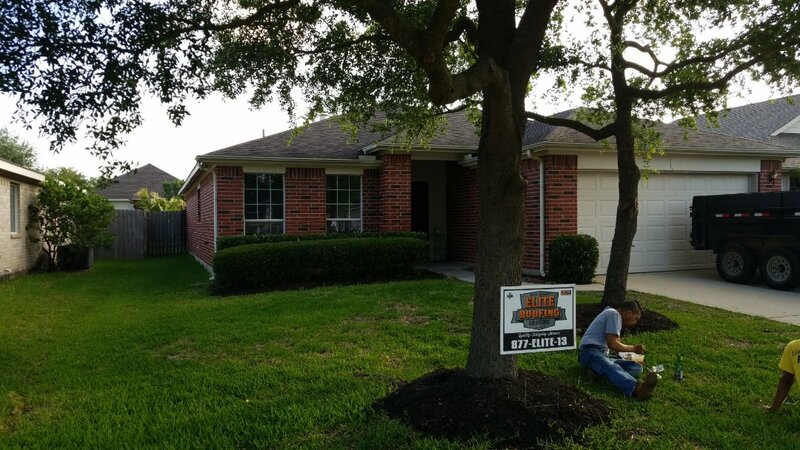 Changing out storm damaged weather wood for GAF Timberline HD in charcoal. 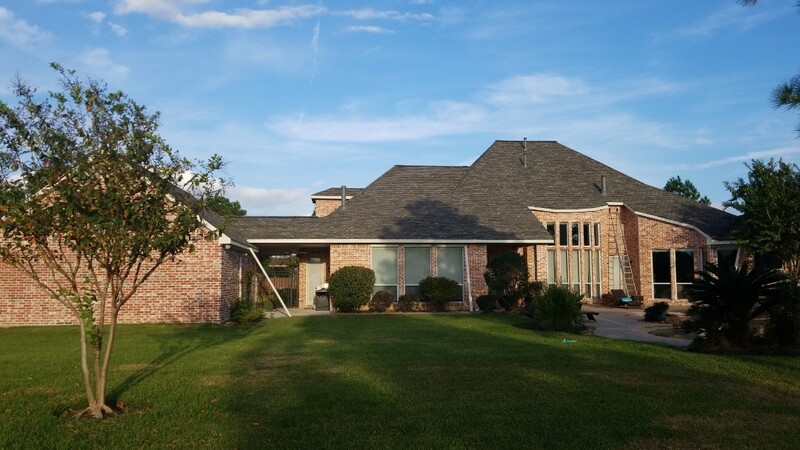 Replacing storm damaged roof with GAF TIMBERLINE HD shingles in charcoal to match the accents in the brick and make this home "pop". Complete with new drip metal, pipe flashing, Cobra 3 ridge cap. New owner is going to love it!!! 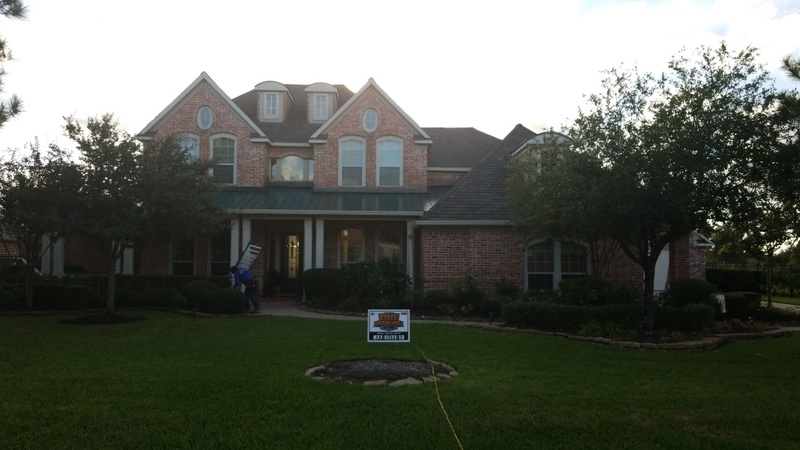 Hail damaged roof, replaced with GAF Timberline HD, synthetic underlayment, storm guard, all new flashing. 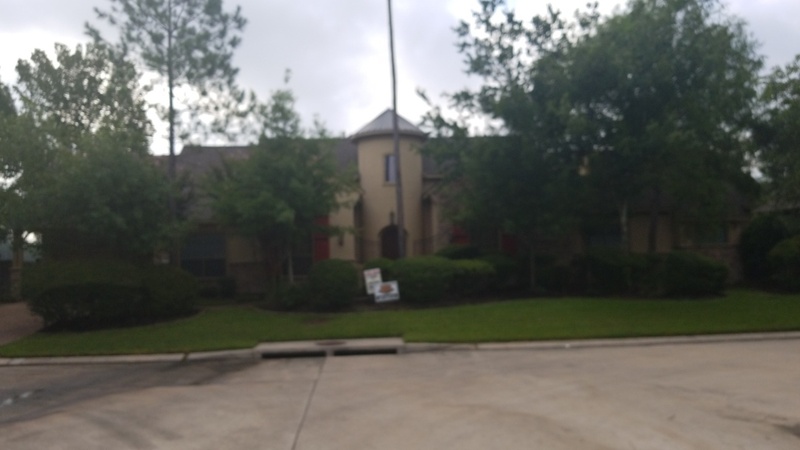 GAF Cobra 3 ridge vent and Timbertex high definition ridge cap. Starting another project. Covering the pool, protecting the pool equipment, Mac's etc.